Huntsville Intermediate School 6th graders recently became tour guides for Scott Johnson Elementary students by giving them a taste of India during their Social Studies class. HIS teachers involved were wanting to incorporate engaged PBL learning projects into their curriculum. 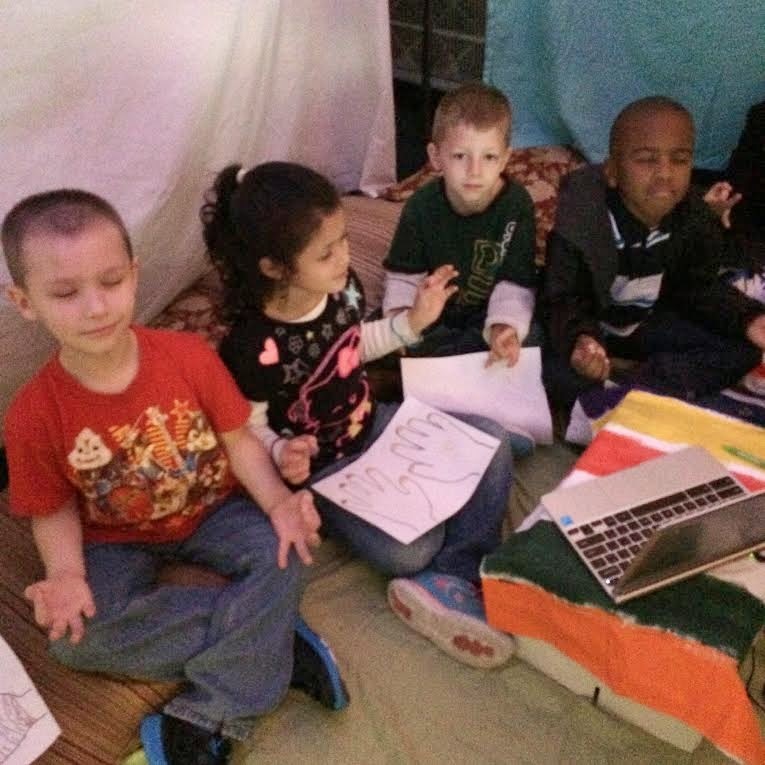 Using what they learned in WOW Academy and from the Design Team, they planned a unit about India. Each class was broken into 5 sections. These groups then researched one main idea of India. (Diwali, Monsoons, Bollywood, Himalaya's, Religions) These groups then split the presentation part of the section between all of the teacher's classes. The kids talked via google hangouts, google docs, and even met up during other parts of the day. The presentation included: visual displays, animotos, and an activity. This was the most challenging part because the students had to rely on others in other class periods to accomplish their part of the project. 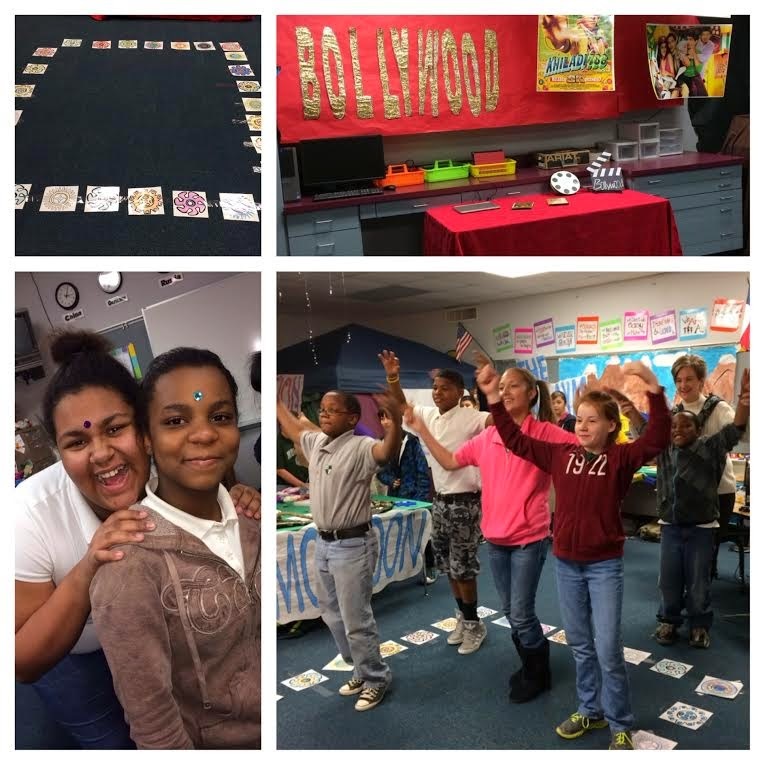 Once project was completed, Scott Johnson students were invited to come over and travel through India with HIS students as their tour guides. When asked how students responded about the project, teacher Ms. Brooke Lowery said, "On presentation day, our kids were bursting with pride and excitement. They came in eager to get things going before the elementary kids showed up. Some made costumes or came dressed in apparel that was India related. 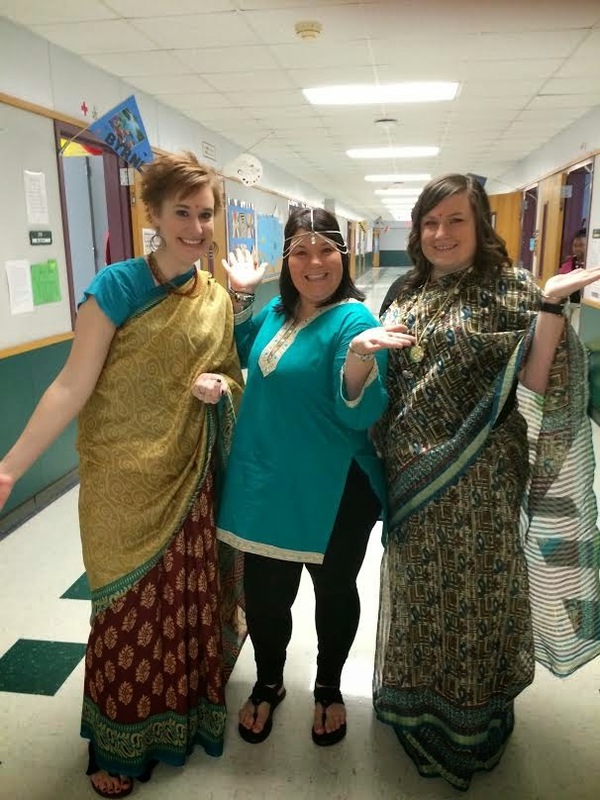 When the elementary kids stepped in the door India erupted throughout the classroom." "It was a fun way to be creative and get to teach the little kids. I didn't just learn about my part either. By looking and talking to the other groups I learned a lot more." said 6th grader Matthew DeMatos.